New year celebration in Havana 2006. A big part of the city’s inhabitants gathered in Malecon to enjoy great music and dance all night long. Spirit is high. The Cubans knows how to party but things can get carried away sometimes. military, police and other security officials to maintain a sense of safety and control. Now.. I am sure this particular security guard (whatever that bottle contains?) is doing his best but…. El AMOR, siempre presente en Cuba. Happy New Year! 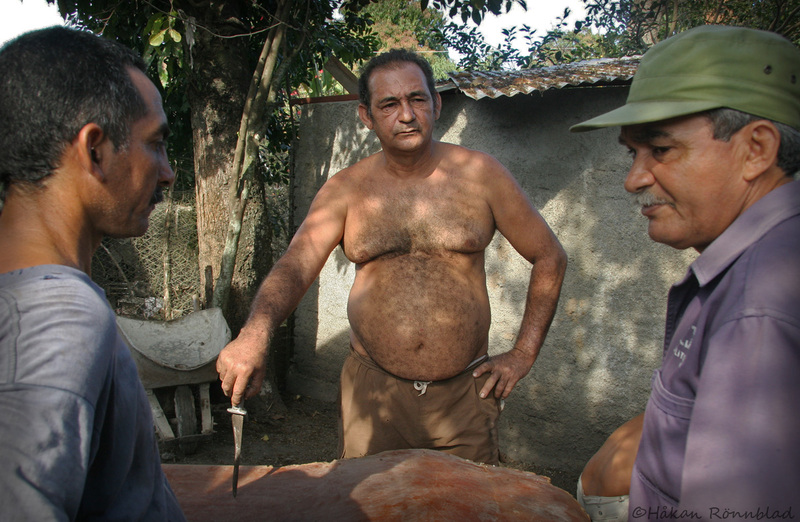 Every time when christmas and new year is approaching in Cuba you hear pigs screaming everywhere. 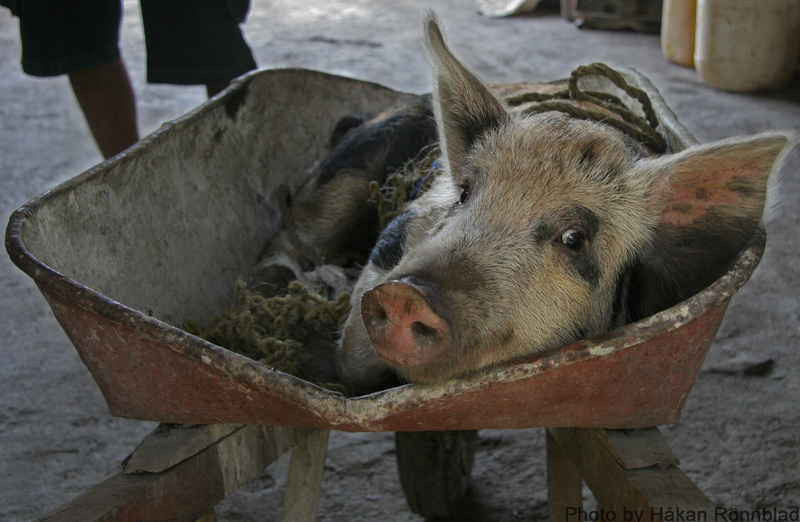 It is forbidden to slaughter cattle, so pork is one of the few options that remains! In the (“el período especial”) ninetys, after the sovjetunion collapse and following deep crisis in Cuba there was even a dictate issued from highest authority, that the Cubans should keep pigs in their homes as emergency food. Even in small apartments you could see persons feeding and nursing a couple of gigantic hogs . This pig (above) made fierce resistance and tried to escape several times when transported to the slaughterers block..